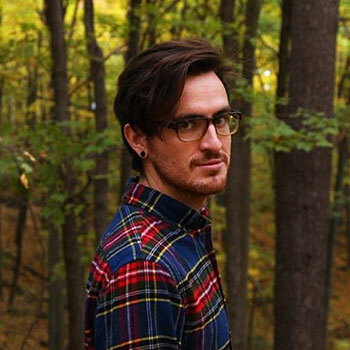 Spencer Hawtin is a full-time instructor in the Digital Communications Department of Humber College in Toronto where he teaches courses such as Digital Storytelling, Social and Digital Media, and Writing and Research for New Media related to the creation of digital content. I was once told that anthropologists have the greatest job in the world because they get to talk about and study their interests. Our interests are always shaped by culture and people. Even the simplest activity is influenced by a complex array of factors, which is why anthropology has an important place in our world, and why I chose to pursue my education in it. I began my anthropological career at Wilfrid Laurier University. Initially I was enrolled in archaeology where I learned the basic principles of archaeology and physical anthropology. However, I found living cultures more interesting than the ancient world. During my fourth year, I began to study gaming and online communities (particularly Rooster Teeth) in Dr. Andre Czegledy’s capstone course about anthropological methods and fieldwork. This is what sparked my desire to pursue further education in anthropology and enabled me to study what I am passionate about. In 2016, I started working as a part-time instructor and lecturer at Humber College at the School of Media Studies and Information Technology, moving to partial load in 2017. I teach courses relating to the creation of digital content such as Digital Storytelling, Social and Digital Media, and Writing and Research for New Media. In my view, my education in anthropology has contributed greatly to my teaching success. Throughout my education, I have often researched case studies, many of which I use in my teaching today. Having a long list of case studies to refer to allows me to teach a variety of theories in helpful, practical ways. The research I did about online communities has strengthened my understanding of audiences, which, as communities themselves, must be understood in order to effectively create content. I often tell my students that they must study their audiences, know their needs, participate in their activities, and communicate with them in order to create for them. I learned the methods for doing this during my undergraduate degree in anthropology at Laurier. My friends often tell me how lucky I am to be able to talk about new media as a full-time job. Being able to talk about what I love started because of anthropology, and I would say that I have the greatest job in the world because of it.